A woman’s love affair with wine is somewhat of a cultural phenomenon. 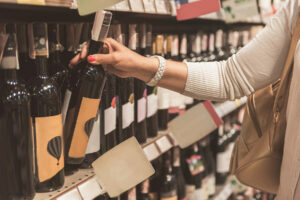 Women are out-purchasing men two-to-one when it comes to wine. This is according to a 2016 report by the Wine Market Council. With this information, it’s no surprise that stores and brand marketers are catering to women. It also makes perfect sense that a growing number of women are taking the reins when it comes to running the retail stores. 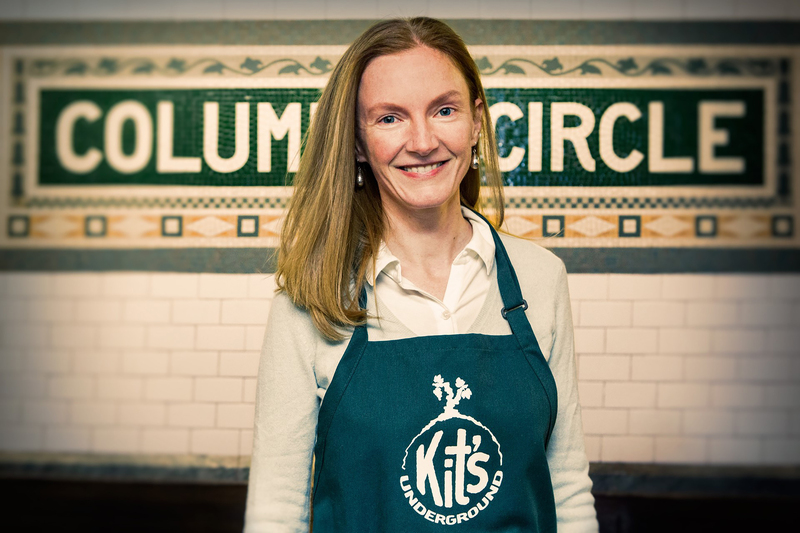 Some transitioned from wine sales and marketing to running a retail shop, but for others it’s a complete career change. Most work hard to promote women winemakers, and all focus on assembling an eclectic collection to tantalize their customers. With this much control of the purchasing power, it’s safe to say that a woman’s wine-work is never done! Visitors to either the Ferry Plaza Wine Merchant in San Francisco’s restored Ferry Building or the Oxbow Wine & Cheese Merchant in downtown Napa, will find selections hand-picked by Debbie Zachareas. 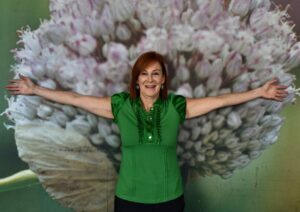 Debbie is one of the Bay area’s, and nation’s, most respected wine specialists. 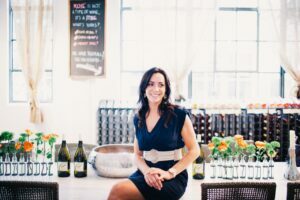 As a Sommelier and Wine Director for top-rated Bay area restaurants including Bacar, EOS Restaurant and Wine Bar, Rubicon, and Vertigo, Debbie was named “Wine Director of the Year” by San Francisco Magazine not once, but twice. 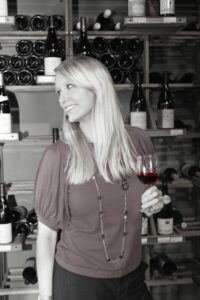 She’s a renowned wine judge and lecturer around the United States In addition to running the two wine stores in San Francisco and Napa, Debbie is the consulting wine buyer for Boulibar, a casual Mediterranean style restaurant, and a wine luminary for ifonly, a service that curates one-of-a-kind experiences and gifts. And just to keep her super busy, especially during Florida’s winter season, Virginia also serves as Wine Director for The Breakers Hotel & Resort Palm Beach, truly one of the nation’s grand dame hotels. This oceanfront architectural masterpiece, modeled after the Villa Medici in Italy, has welcome U.S. Presidents, European nobility, and both the wealthy and famous from around the world. Virginia oversees the beverage department for its nine on-site restaurants and bars and a Wine Spectator Grand Award-winning wine list of more than 1,600 selections. The 1800 square-foot Virginia Philip Wine Shop & Academy stocks 650 hand-picked selections covering every inch of the globe. The store offers weekly wine education programs and guest appearances from wine makers as well as eight-week wine immersion courses. 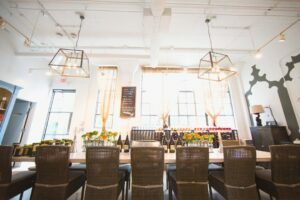 They even host a chef’s series of cooking classes, such as a recent series in Spanish food. A professionally trained musician and dancer, Leora Madden, decided to follow a different beat. 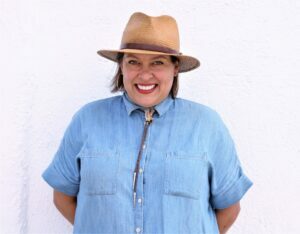 After working in education sales in California for seven years she returned to her native New Orleans to open a wine store. “I wanted to bring a piece of my wine country experience home to New Orleans.” says Leora. With this sentiment, she opened Pearl Wine Co., a combination retail store and wine bar located in Mid-City, a bustling residential neighborhood near City Park (a short drive from the French Quarter) filled with small bars and restaurants. Keeping in spirit with a city that likes to “laissez les bons temps rouler” (let the good times roll), Pearl Wine Co. offers community events almost daily, from afternoon wine tastings to live music at night. Growing up in Burgundy, France, wine and food was second nature to Perrine Prieur, who attended a hospitality and culinary arts-focused private school starting at the young age 14. For years she traveled and worked in restaurants throughout France and eventually decided to focus her career on wine. After graduating the prestigious Le Castel sommelier school in France, she moved to London to work at the Michelin three-star rated Le Gavroche. After collecting an award as “Bordeaux’s best young sommelier,” Perrine moved to Atlanta in 2006. 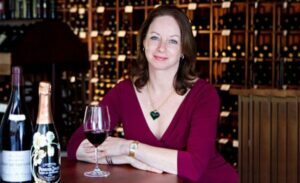 She studied English and became certified as a sommelier. 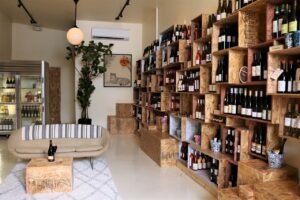 After working four years as a sommelier at the high-end JOËL Brasserie, when it closed its doors in 2010, she decided to open some new ones with her own wine shop as the sole proprietor. The store features around 450 selections. Listening to these dynamic women share their stories and enthusiasm for their trade, should alleviate anyone’s concerns that buying wine is an intimidating experience. Gone are the days of the curmudgeonly wine snob behind the counter. This generation of wine retailers make learning about and buying wine a fun adventure. In part 2, we spotlight women in wine retail in TriState New York, so stay tuned!